The Chiron is, to put it mildly, a rather special car. But in case it’s just not as fancy and exclusive enough for your spectacularly valuable car collection, it’s worth having a quick gander at this: the Chiron Sport 110 ans Bugatti. 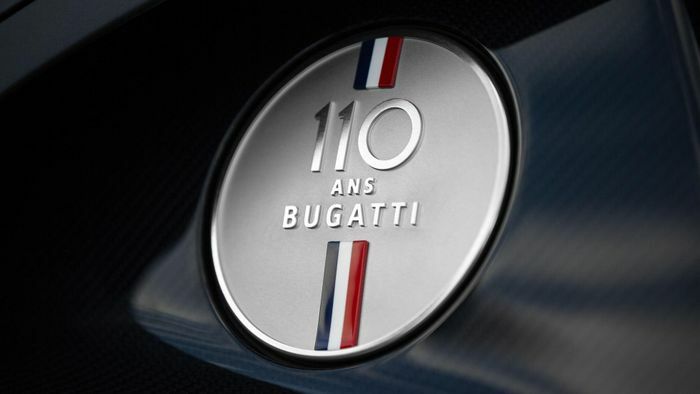 As you might have gathered from the name, it’s an anniversary special, celebrating the passing of 110 years since the Type 10, Ettore Bugatti’s first ever car. Truth be told, this car - of which just 20 will be built - doesn’t have a whole lot in common with the Type 10. Ettore’s creation had leaf springs at the front and no suspension at the rear at all, while power was provided by a 1.1-litre overhead cam inline-four. Cars have moved on quite significantly from then, evidenced by the fact the Chrion uses an engine over seven times the size and with four times the cylinder count. 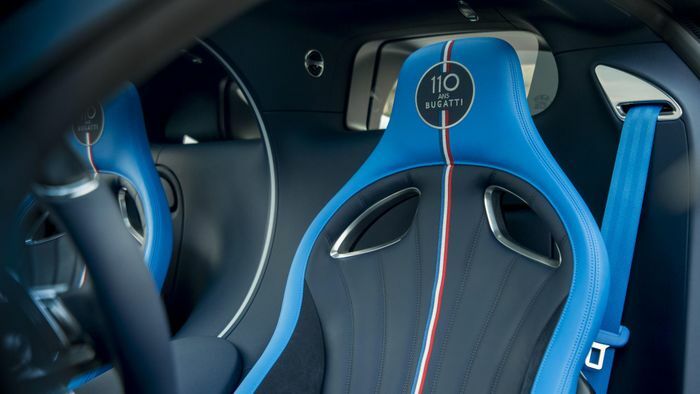 Instead of some clear nods to the old Type 10, Bugatti has turned the Chiron into a celebration of France, where Italian-born Ettore spent much of his life. The most obvious changes involve splashing the French tricolour flag on the mirror caps, the fuel filler cap and on the underside of the vast rear wing. 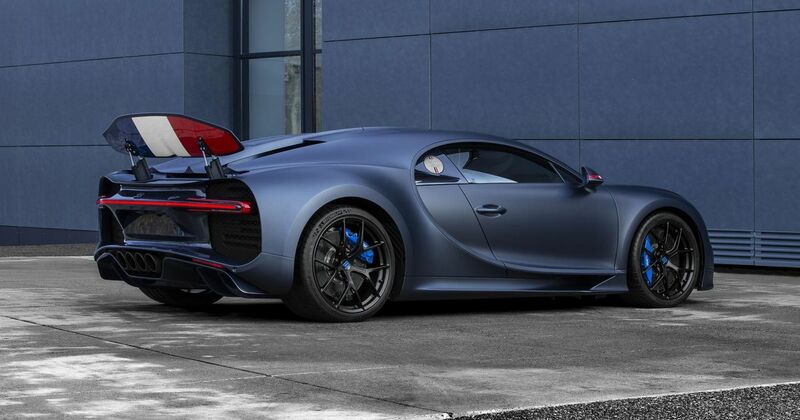 The car is painted matte Steel Blue, with the rear bumper and diffuser given a glossy steel blue carbon finish. 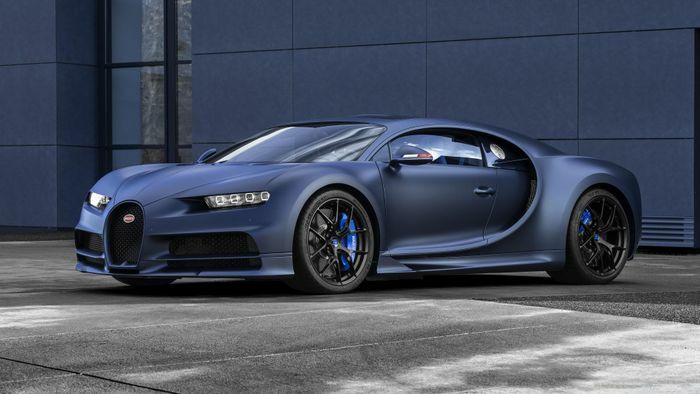 The exhaust is matte black, the brake calipers French Racing Blue, and there are plenty of ‘110 ans Bugatti’ logos both inside the car and out. On the inside you’ll also find a matte carbon/blue leather steering wheel, various pieces of additional carbonfibre trim, and part leather/part Alcantara blue sports seats. As a finishing touch, there’s a “specially crafted medallion” in the centre console storage bin, made from solid silver. Of course. 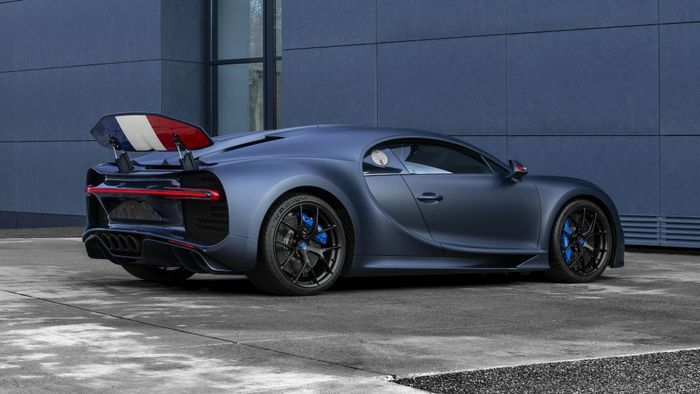 As it’s based on a Chiron Sport, it’s slightly lighter than the ‘entry-level’ Chiron, and has been fitted with beefier suspension, modified power steering, a tweaked rear differential, plus a torque vectoring system. The powertrain is unchanged, but with 1479bhp making 0-62mph possible in 2.6 seconds, it’s hardly lacking in thrust is it?